The Department of Health Promotion and Policy provides a variety of resources and opportunities to its students. From academic advising to student activities, community outreach efforts and laboratory research experience, the Department helps its students to succeed and enrich their academic experiences. The Department of Health Promotion and Policy welcomes a diverse group of international students into its programs. As a university, UMass Amherst is host to students from more than 70 countries. Through the university’s International Programs Office (IPO), international students will benefit from the full range of support, guidance, opportunities and resources that UMass Amherst offers. If you have questions about applying to or studying at UMass Amherst, we recommend that you contact their office for assistance. • Dr. Mary O'Connor, Coordinator of the English-as-a-Second-Language program (545-4210, 308B Bartlett). The program offers undergraduate courses to improve oral and written communication skills. Entrance in the courses requires you to take an initial English placement test given by the program. Call the program for information on when the placement test will be given. • English-as-a-Second-Language program in Continuing Education (545-2484). This program offers a variety of courses. Students need to take an English placement exam before entering any of the courses. Call the program for information on when the placement exam will be given. • Jerri Willett (545-3675, 205 Furcolo Hall) of the Cultural Diversity and Curriculum Reform program in the Department of Education. It is possible that some students who need to improve their English may be needed as part of the training for ESL teachers. Curricula Practical Training allows international students to work at jobs outside the University, if these jobs are directly related to their academic program and will form an integral part of that program. The employment must be instrumental to achieving a specific academic objective, and students must have completed two semesters of graduate study. Please visit the International Program Office (IPO) website for additional requirements of this program. The Graduate Program Director initially reviews applications for Curricula Practical Training, but final approval is determined by the IPO. Students will need to submit to the Graduate Program Director: 1) a job offer letter on company letter head as described on the website, 2) a brief description of how this position would be instrumental to their academic training, and 3) the Departmental CPT Recommendation Form (downloaded from the IPO website). 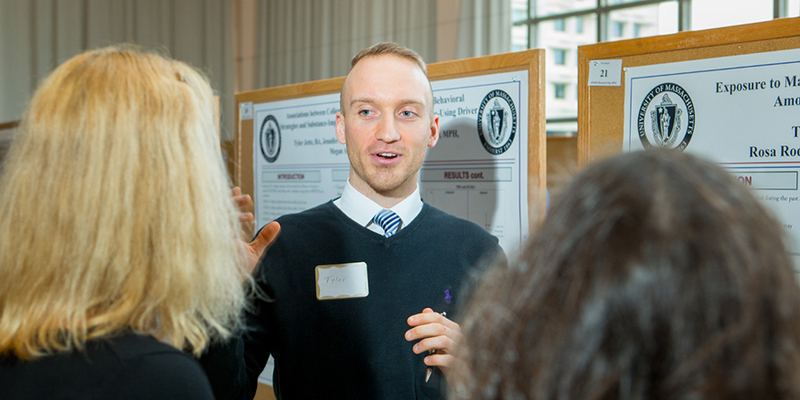 The Health Policy and Management program provides its students with a variety of resources and opportunities to conduct and present their research at national and international conferences and to submit findings for publications in peer-reviewed scholarly journals. Our faculty members provide guidance and mentorship in innovative research in diverse settings including laboratory and community-based efforts.